You'll be £9.99 closer to your next £10.00 credit when you purchase Oradour. What's this? The destruction of the French village of Oradour and the massacre of its population in June 1944 by the SS Das Reich Division ranks as one of the most notorious atrocities of the Second World War. The scars that were left will never fully heal and there are those that would argue that they should remain as a lesson to future generations. The ruins of the village have been preserved as a memorial to the victims and a new museum has recently been opened by President Chirac. Fully illustrated in true Battleground style, this superb account reveals the full horror of this outrage. It receives incidental treatment in several books, yet more detailed studies of the Oradour Massacre have in recent times been difficult to come by. Philip Beck now rectifies this omission. That the SS descended upon the village of Oradour-sur-Glane on 1O June 1944 with murder in mind is itself well-known. But was this an arbitrary act or one planned and premeditated? On whose orders was it carried out? Was the slaughter instigated by the commander on the spot or decreed in advance by some higher military authority? Were the perpetrators ever brought to justice? All of this and more is explored by the author, an experienced investigative journalist whose quest for the truth took him to Oradour itself, a place where "fire-buckled bicycles" still bear silent witness to the fact that the SS struck so rapidly that their owners had no chance of using them to escape. The Massacre is set within the wider context of World War II in the wake of the Allied Normandy Landings on D-Day and clashes between the French Resistance and Waffen SS. Having discussed their training, tactics and ruthless efficiency, the author goes on to provide useful biographical information about some of the more notorious members of the SS. It was interesting to learn more about SS Commander Diekmann, for instance. We also learn how events on that fateful day were reacted to by the Wehrmacht's own district commander, an aspect neglected in most other accounts. 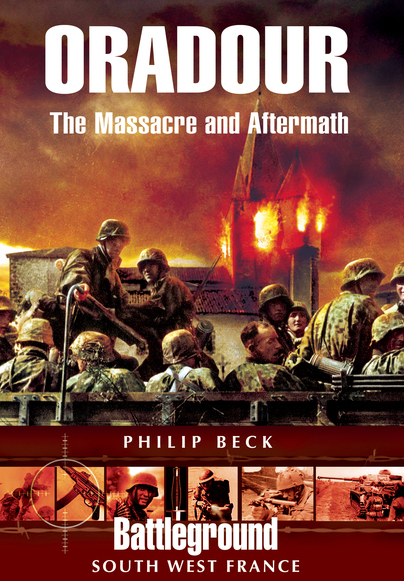 Beck's clarification as to the precise death toll at Oradour appears to correct assertions made by prominent writers in the former East Germany during the 1960s, because he has avoided relying upon a single source. Philip Beck's writing is balanced rather than sensationalist and incorporates findings from further research conducted by him since he first wrote on this subject in 1979. It is also profusely illustrated. The images themselves speak volumes as to the enormity of the tragedy involved. The destruction of the French village of Oradour and the massacre of its population in June 1944 by the SS Das Reich Division ranks as one of the most notorious atrocities of the Second World War. The scars that were left will never fully heal and there are those that would argue that they should remain as a lesson to future generations.